We spend a lot of our online time in an RSS reader, but not everything we want to follow has an RSS feed. There are web apps to monitor pages for changes, but forum threads spill over onto many pages – how can you get an RSS feed for a specific thread? The trick to doing this is by using a common feature of most forum software: thread subscriptions. Typically these can be set up to email you whenever a new post is made – we’re going to take those emails and generate an RSS feed from them. There are a few web apps out there that claim to be able to generate RSS feeds from your email, but none that we tried worked well in our testing. Additionally, they all required your email password, which we’d like to avoid giving out. We’re going to show you a method that uses Blogger’s post via email feature to generate a reliable RSS feed. 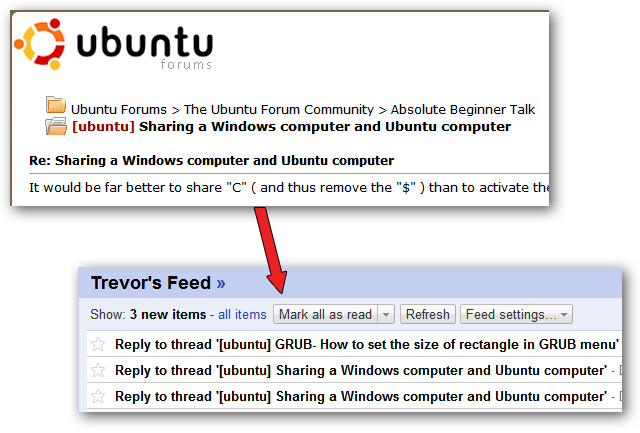 It may take a while to set up, but once it is, you’ll be able to add new forum threads to your feed quickly and easily! The first step is to create a new blog using Google’s Blogger service. 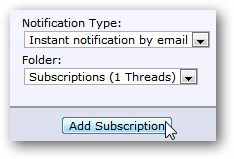 This blog will aggregate the thread subscription emails, and we can subscribe to the blog’s feed once it’s all set up. Head to blogger.com. If you don’t already have a Google account, create one. 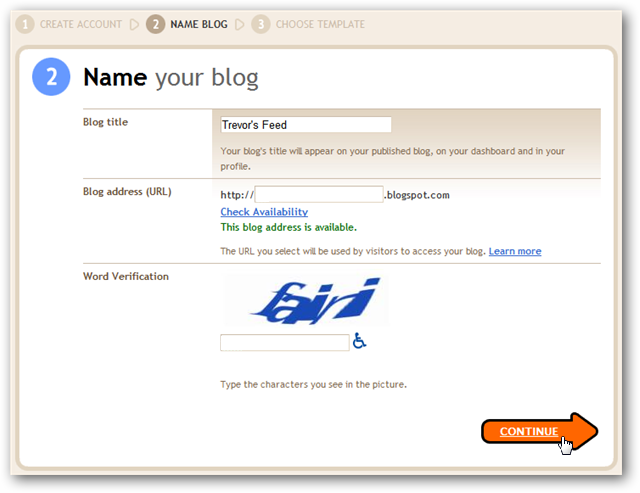 Once you’re logged in, click on the Create a Blog link. Give your blog an appropriate title and an easy-to-remember URL. 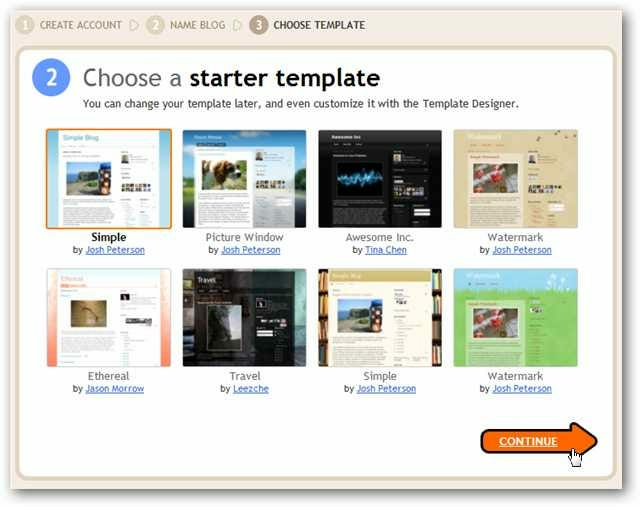 Since you’re mainly using Blogger as a means of creating an RSS feed, the template you choose won’t matter much, but feel free to choose one that you like. Your blog has now been created! There are a few settings that you should change, since this isn’t the type of blog that you will want to be getting a ton of hits. Head to the Settings page for your blog. In the Basic section of the settings page, choose not to add your blog to Google’s listings, and hide it from search engines. Go to the Site Feed section, and ensure that Blog Feeds are enabled – we prefer Full feeds, but you can choose Short if you prefer. Go to the Email & Mobile section. Choose to Publish emails immediately, and enter some hard-to-guess secret words for the posting email address. Make a note of the posting email address, as we’ll be using it later on. If your feed reader is able to handle feeds that require authentication, like most desktop readers or Netvibes, then you might want to lock down your blog so that only you can access it. This is especially important if the forum thread you plan to subscribe to requires authentication through the forum software. To lock down your blog, go to the Permissions section. 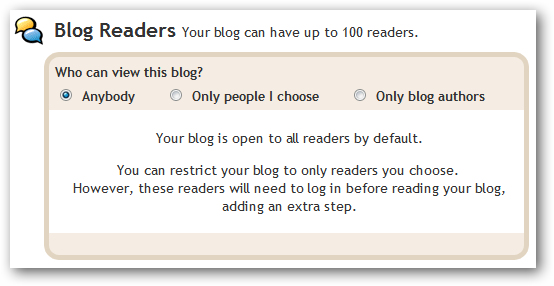 Select the Only blog authors radio button. If your feed reader does not support authenticated feeds, like Google Reader, you will need to keep your blog public. Ensure that in the Permissions section, the Anybody radio button is selected. If you’re concerned about copyright issues from reposting items from forum threads, you may wish to give proper attribution. Click on the Design tab at the top of the settings page. 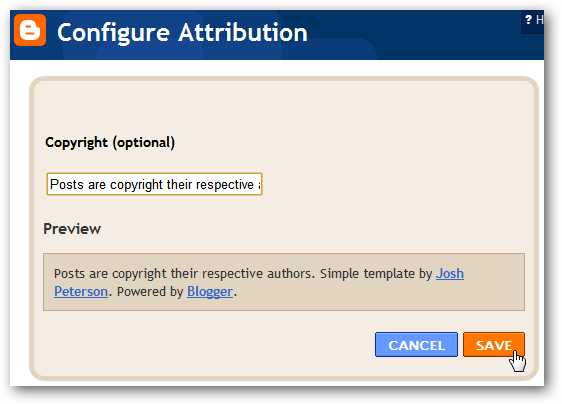 Click on the Edit link next to the Attribution box and enter an appropriate message about the copyright of the posts on your blog. Your blog is now set up to accept posts via email! The last step is to subscribe to the RSS feed that your blog generates. The link should be easy to find when you view the main page of your blog. The goal of this section is to forward the emails being sent to you from the forum software to the email posting address you defined above (tbekolay.secretWords@blogger.com in the screenshots above). In our example, we’re going to the sub-addressing method. 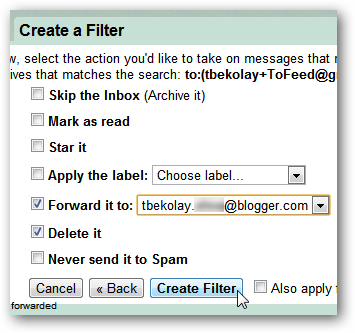 We’ll show how to accomplish this in Gmail with a simple filter. The first step is to set up a forwarding email address. In Gmail, click on the Settings link at the top-right of the page. Go to the Forwarding and POP/IMAP tab, and then click on Add a forwarding address. Enter the email posting address that you chose earlier. Gmail will send a confirmation email to that address, so head over to your blog and you’ll see the email. Click on the confirmation link. For safety’s sake, you should delete this “post”. 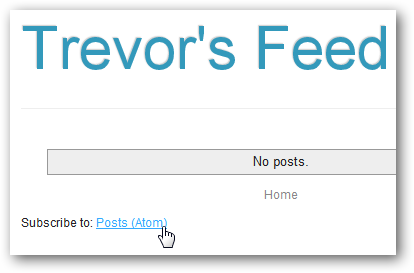 Go to the Posting section of your blog’s configuration, click on Edit Posts and delete the confirmation email post. Now you’re ready to create a filter. In the main Gmail interface, click on the Create a filter link to the right of the search box. We’re going to filter based on the To field of an email. We’ll use a sub-addressed address (user+tag@gmail.com). Enter in this information, and click the Next Step button. We’d prefer to keep our Gmail account clear of these forum thread emails, so we’re going to forward the filtered email to the posting address and then delete it. You may wish to apply a label and archive it instead. Click Create Filter after you choose. And that’s it! 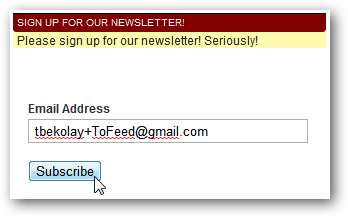 Now any email sent to your sub-address will be posted on your blog and consequently your blog’s RSS feed. Now your hard work pays off! Head to the forum you want to follow. If you haven’t registered for the forum yet, then feel free to register with your sub-address. You might have to follow a link on your blog and delete that post later, but you won’t have to bother opening up your email at all. If you’ve already registered, then look in your account options for a place to change your email address. Enter in the sub-address. Find the thread you want to follow. Most forum software will have a link for you to subscribe to the thread. Find it, and click on it. Some give you different subscription options. Choose whichever option you like! Which ends up in your RSS reader. This is one of those tricks that we use all the time. It takes a few minutes to set up, but quickly subscribing to interesting threads is much more manageable than keeping tabs open indefinitely! Are there other situations where you would want to read email in your RSS feed? Let us know in the comments!